Marzio said "WE WORK EXCLUSIVELY FOR THE POY." I think he meant to get the first batch out but we shall see. Also - yes he always talks in CAPS. It's like a a tiny old Italian man yelling at me. 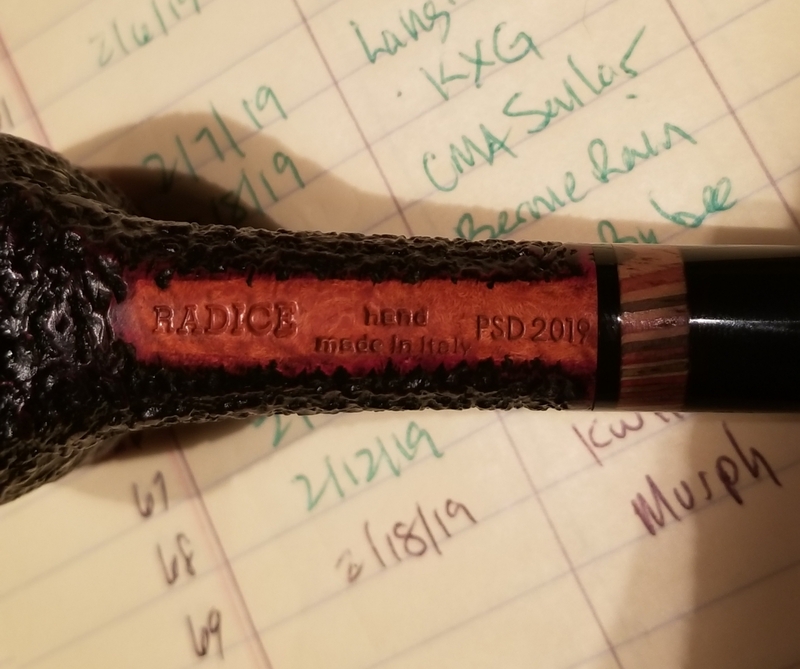 Received invoice from Radice. 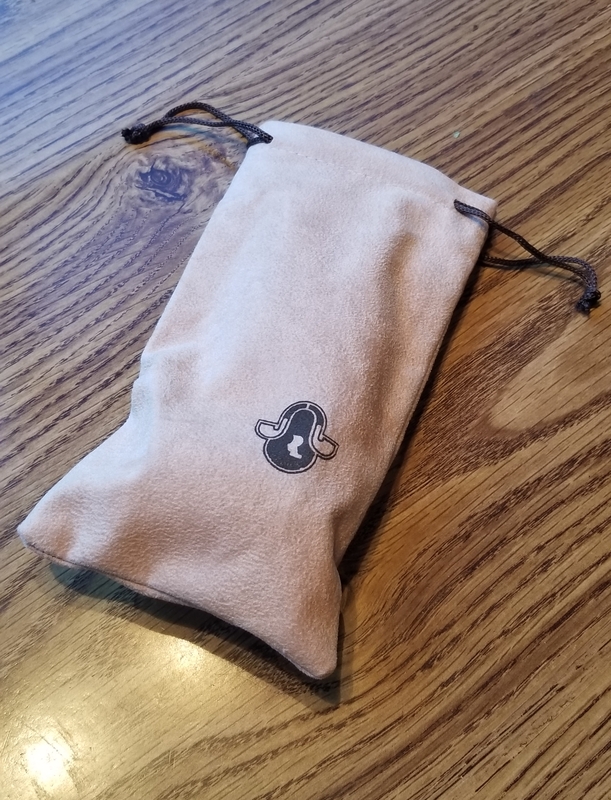 Posted details in the Poll thread. Woo hoo! Ordered. Haven't received a reply/invoice from Radice yet. Beat me to it. Thanks! I am a moron. Just checked my drafts and it appears I never sent the email to Radice. It was a day of Radice surprises. First there was the Invoice cost surprise, and that wasn't very fun. But this... Well this really made my day. 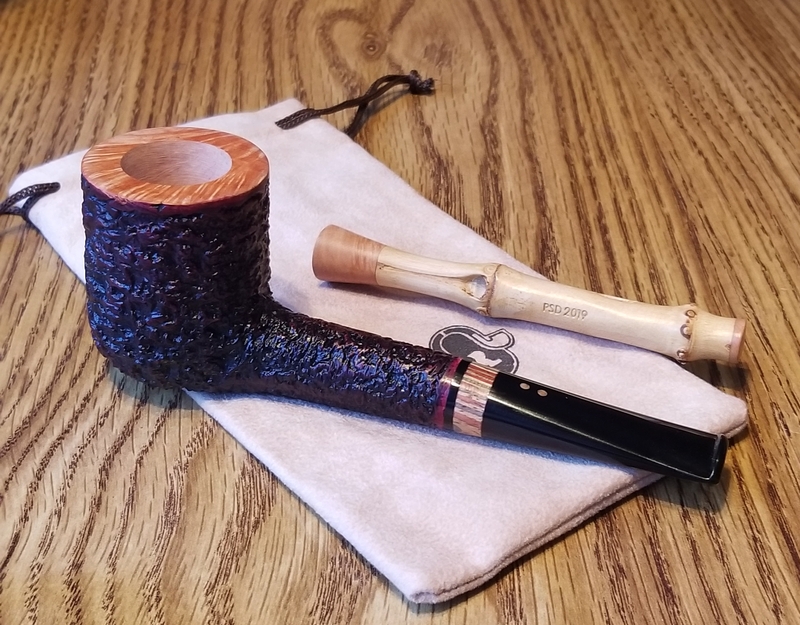 The Radices gave me a POY and it arrived today. I sent Marzio Radice an email asking about the bamboo/briar tamper - this was never discussed and I don't know if they intend to give them to everyone but I certainly hope so. 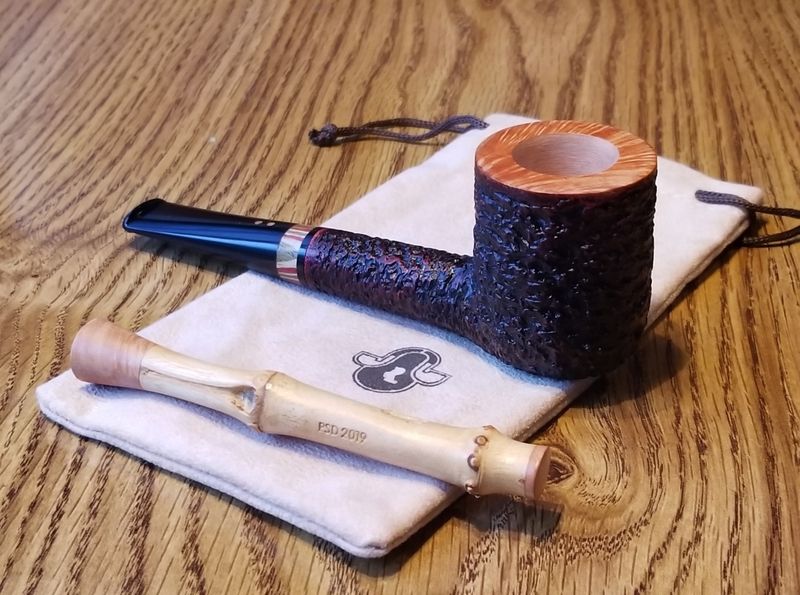 I was also happily surprised that my pipe does not have a bowl coating- I asked about this in the email too and hope they all come that way. I'll let you know asap. From the photos I have seen (and posted) there will be a few different "colorful wooden bands." This one looks better than I could have imagined. I hope you are all as happy as me when yours arrives. I did the same thing and feel the same way. Only found out after you posted. Daft question but did you check your sent box to make sure you haven’t ordered two? That’s a sweet pipe Spill, and completely justifies my decision to go for the band. Spill what are the bowl dimensions on that beauty? I don't have my caliper here but right around 7/8" × 1 3/4". Fairly large but not huge. Everyone is getting a tamper! No bowl coatings will be used. When possible they will have smooth rims. Please folks, use the other Radice thread for comments. I posted the POY photos here because this is the best place for them, but I really need this thread to be clutter-free to address any questions that arise. @MURPH please respond to my question above regarding your order. When should we start to worry that something went wrong with our order? I ordered on page 1, confirmed email was sent, and have not received a PayPal request yet.